Ed Butchart’s journey into life as a professional Santa Claus came about unexpectedly. After completing 20 years with the USMC, he let his beard grow out. 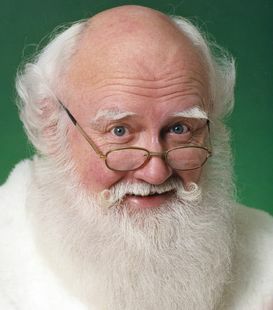 Soon people began to comment that he looked like Santa, and he received offers to play the role at various places. While he was in character at a mall, representatives from Atlanta’s Stone Mountain Park took notice of him. They soon offered him the job as their official Santa. Since then he has gone on to author many books including “The Red Suit Diaries” and has been very active in the global Santa Claus community. A devout Christian, Butchart started a ministry called “Friends of Disabled Adults and Children” (FODAC) after helping a handicapped friend. The organization started out in his garage and today, FODAC has a 64,000 square foot warehouse filled with donated medical equipment that is fixed up and distributed to those in need. FODAC has delivered over 20,000 wheelchairs in 42 states and in 65 countries.